Hi everybody, it's been a while since I have been using Shopback whenever I shop online. This time round they are hosting this Blog and Win contest wish I wanted to join and try my luck on this. I would want to share some of my WEDDING shopping list from Shopback. I am going to get marry soon and I could say there are whole lots of things that I like to get from. So I wish Shopback can grant me my wishlist so that I can have my dream wedding organized from Shopback! Shopback is the 1st online cashback and rebates site in Malaysia. 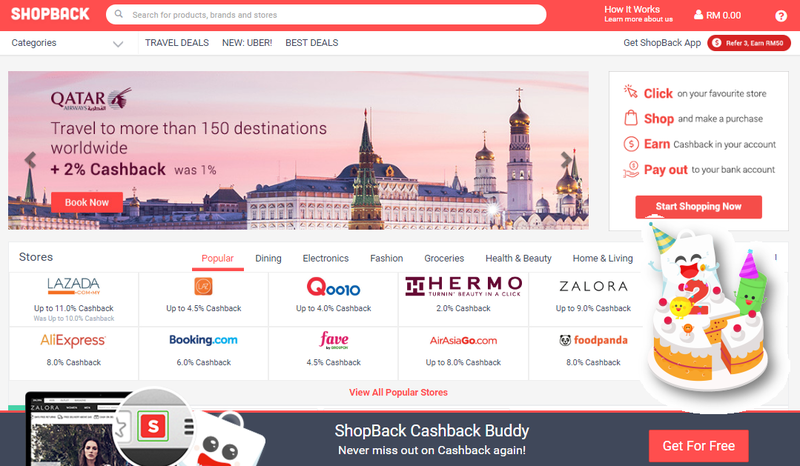 Shopback gives you cashback for your online purchases, on top of the many discounts available when buying from an online retailer. 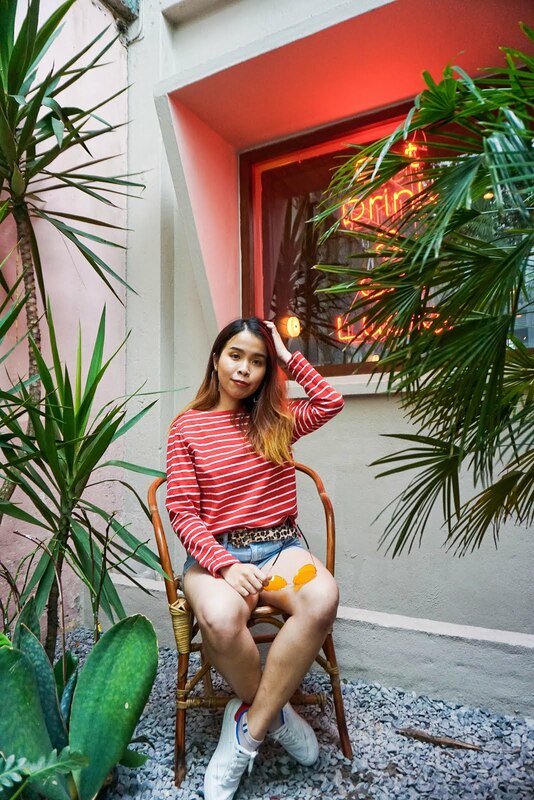 They have partnered with over 500 merchants including Lazada, Booking.com, Qoo10, ZALORA, Foodpanda, Uber and More! In Shopback, you can cash out easily to your local Bank account. They have been featured in The Star Online, New Straits Times, Says.com, The Borneo Post, TechInAsia, Channel News Asia and more. When the first time my boyfriend introduce this website for me, Wedding.com.my where you can find all your wedding needs from this website. From Wedding Gown to Wedding services which including photography, decoration and F&B services. I believe that if you are already married, you will know the cost of wedding preparation item is way expensive, even some of the youngsters are in huge debt due to the cost of wedding preparation. To prevent that for happen, I hope that Shopback can grant me free shopping experience from Wedding.com.my. I bet that all of you guys have heard ChristyNg before right! They are famous with all the beautiful wedding shoes. Also, I recently found out they sell a lot of casual and OL shoes as well. I wanted to get one pair of the wedding heels for myself and another pair for my mom! Actually, I am so indecisive on what heels I aiming for because all are so pretty, so I'm thinking since is a once a lifetime moment customized heels might be a good option too! Not forget I should get myself and my bride maids some beautiful dresses to wear during my wedding day too! In Doublewoot, you can shop for unlimited of beautiful dresses and dresses for any occasions which are the perfect website for me to shop for dresses for my bride maids.They serve the top notch high-quality dresses in their website. Say YAY or NAY! My theme of my wedding will be a secret, hahaha! But it will be more in a sweet and romantic color for sure. Since I am handling a lot of DIY decor on my own on my wedding day, I will need to customized and DIY my own photos out. Head on to Pixajoy, for more customized photo books, stickers, canvas to print on your wedding day. Can't wait to work on the customized design that I can work on. At last, a honeymoon trip will be a great ending to end my wedding mood. AirAsiaGo will definitely be a great option for you to look for where you can easily book your flight and accommodation in just one website. You can choose from over 100,000 Hotels from AirAsiaGo. It's never been difficult to plan and book your stay with AirAsiaGo! If you wish to enjoy all this Shopback promo from all the website I mention here, you can visit here for more info on how actually Shopback works. Read here where you can refer to the steps on how to sign up and redeem cash back from Shopback. My referral link here to join my Shopback community. Not forget you can also refer a friend to earn up to RM5 when she signs up and makes her first purchase through shopback too! Where are you planning to go for your honeymoon? Wherever you go, may you have a wonderful time! Congrats on your coming marriage! I've heard of this Shopback before and it's really cool to earn some money back. I've not tried it yet though as I don't shop much hehe. haha! Share it to your friends and family too! The wedding gown looks simple and nice. Hope your wishes come true. Wahh. Nowadays not even we got so many discounts, but also cash-back. So good for us right. Yes! Who doesn't like cash back! Absolutely love Doublewoot, even got myself a few dresses from there. On overall, a great list. looking forward for your wedding! i always admire people who DIY their weddings. Love ChristyNg and Double Woot too! Love their products a lot. Wow..some of the website are my favourite!! Good Luck my friends. Wow! all the best and hope that your wedding wish is granted. And with the introduction of advanced tools and equipments and software photography world has introduced various innovative ideas to capture memories in best possible manner. I have heard about so many good reviews regarding on shopback. Thanks god you're enjoying such a great shopping spree.